Doris Lessing Mines Gold In 'Alfred And Emily' Published on the verge of the author's 89th birthday, Doris Lessing's Alfred And Emily is an idiosyncratic combination of personal history, public history and fiction — all about her father and mother. In a short explanation included in her latest book, Nobel Prize winner Doris Lessing notes that "even alert offspring or children may miss gold" when writing about their parents. 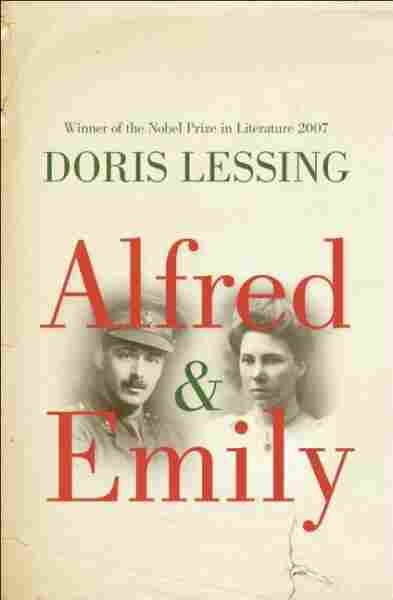 But in Alfred And Emily, an idiosyncratic combination of personal history, public history and fiction that focuses on her father and mother, Lessing proves that she hasn't overlooked the gold in her past. In the first half of the book, Lessing delivers a long and lively novella about her parents' lives in an imaginary England in which World War I does not take place. "This is a silly, petty, pettifogging little country," Alfred Taylor, Lessing's father, says in this variation on his actual history, "and we're pleased with ourselves because we've kept out of a war. But if you ask me, I think a war would do us all the good in the world." The actual war did not, as it happens, turn out to do Alfred Taylor "all the good in the world." 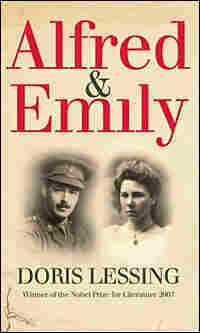 He lost a leg in battle — but he also met his wife, Emily, in a hospital where she worked as a nurse attending wounded British soldiers. 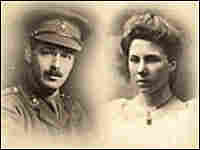 After marrying, the couple emigrated first to Persia, where Taylor worked in a bank, and then to Rhodesia, where they bought a farm. In the second half of the book, Lessing reconstructs her childhood on that farm in Africa, describing the gestures and mores of that particular time in her life and of the period. The land around the farm, Lessing writes, was marked by an an old mawonga tree that was "always full of birds." At one point in the novel, Lessing's mother says, "We'll never get off the farm and they'll bury us under the mawonga tree." But when Lessing returned to the old African home in the early 1980s, she tells us, the tree was gone. Will this odd and powerful excursion into lost time last, or will it go the way of that mawonga tree? For now, it serves as a marker of an older day and a powerful reminder not only about Lessing's past but about how each of us can return to our own family histories — and, if we pay close attention, come back with something gold. There were different focuses of activity. At the end of the field, excited cries and shouts told that here were the children's games. A long trestle table laden with every kind of foodstuff stood under some oaks. The main arena of attention was the cricket match, and around the white-clad figures clus-tered most of the spectators. The whole scene was about to be absorbed by the shadows from the big elms that divided this field from the next where the expelled cows watched the proceedings, while their jaws moved reminiscently like those of gossips. The players in their fresh whites, which were a bit dusty after a day of play, knew their importance in this summer festival, conscious that every eye was on them, including those of a group of townspeople leaning over a fence, who were determined not to be left out. 'Sssh,' said Mary Lane. 'Just a minute, I want to see ...' Daisy, the little girl, was already leaning forward to watch, and now Emily McVeagh, the other girl, watched too, though she was certainly not seeing much. She was flushed with excitement and determination, and kept glancing sideways at the older woman, hoping for her attention. 'Well done,' said Mrs Lane, and was ready to clap, but the bowler had begun his run forward. Again ... again ... a ball came close to where they sat and the fieldsman ran to retrieve it. The innings went on, there were several scatters of applause, and then a burst of clapping when the youth sent a ball almost as far as the children's games. It was time for tea. The long trestle table was besieged, while a woman stood by the urn and handed out cups. 'I could do with one, Daisy,' said her mother, and the girl ran to join the queue. The girl had defied her father, and said to him that, no, she would not go to university, she would be a nurse. 'She'll be a skivvy among skivvies,' Mrs Lane had said to herself, shocked at the girl's decision. She knew John McVeagh well, knew the family, had watched Emily's triumphant schooldays with admiration tinged with regret that her daughter was not as clever and with as much presence and attack. The girls were friends, had always caused people to marvel at their unlikeness. One was retiring, easily overlooked, apparently frail, the other immediately mistress of herself and of circumstances, always first in everything, head girl at school, carrying off prizes: Emily McVeagh, friend and champion of little Daisy. 'I know I can do it,' said Emily, calmly. Two brothers: the older one, Harry, was adored by his mother. She was known to be discontented because her husband, the boys' father, a bank clerk and hating it, spent every moment of his spare time playing the organ in the church. Instead, it was clear, she felt, of trying 'to get on'. He was unambitious, but the elder son had been offered a job, much more than most schoolboys could expect, before he had even finished school. He, too, had been the clever one, easily passing exams, winning prizes. But this mother had not liked her second son, Alfred, or behaved as if she didn't. Beating children in those days meant no more than an intention to listen to the wishes of God. 'Spare the rod and spoil the child.' But Mrs Lane, observing, had been shocked. She, too, was the wife of a bank clerk, a senior one, but her husband was a pillar of the Church, and involved with local activities.